Prime Minister Nagendra Modi came with scheme of demonetization of Rs 500 and Rs 1000 currency notes to eradicate the parallel economy. This parallel economy consists the corruption, black money, illegal trading, terrorism, narcotics, and other anti-social and criminal activities. This is a very good step for the country in short term and long term. In short term, it will break down the existing chain of parallel economy immediately and in long term size of Indian economy will grow. 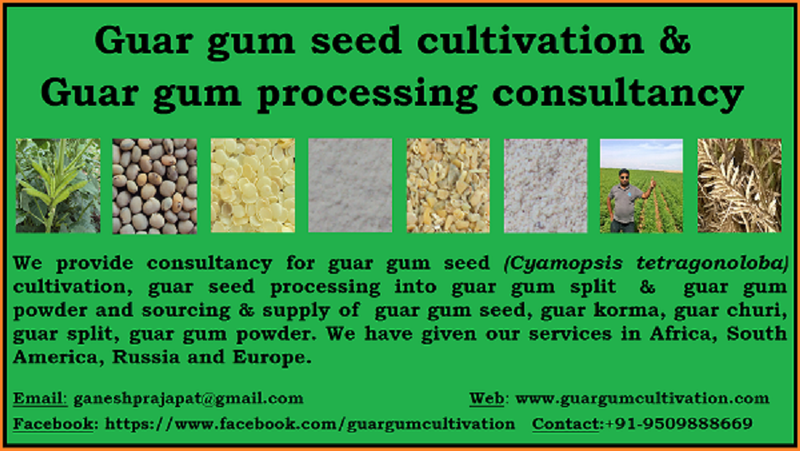 Indian Guar gum industry is facing problem of speculations and illegal trading due to black economy. Every honest stack holder is facing problem in Indian Gaur gum industry from farmers to exporters. They don’t know what will be next move in their business. In the morning prices goes up sharply and in the evening prices goes down drastically. A lot of black money has invested in trading, stocking of Gaur seed. These greedy traders/stockist/ exporters gives the movement to prices as per their profit. 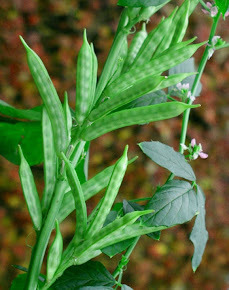 Farmers is the first point of guar trade. He produces guar seed with expectations of good prices but at the time of harvesting he could not able to recover his cost of cultivation. How is it possible? When farmer carry his produce in the market greedy stockist increase the parallel supply of seed in market and farmer is forced to sell his guar at lower prices. If there will be no black money, then it will not be possible to increase the parallel supply and farmer will get the real value of his produce. At the time of guar crop sowing these illegal traders / stockist increases the demand and farmers are forced to buy guar seed at higher prices. 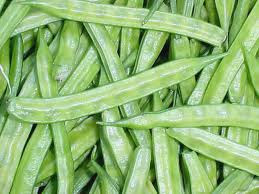 Some traders procure guar seed parallel by offering the extra payment and ditching the local mandi taxes. This farm incomes remain hidden. After demonetization, parallel buying will stop and funds will be transferred to farmer’s account after paying the mandi taxes. Transactions will be transparent. It is noticed if farmers ask for transparent transactions then these traders deduct the mandi taxes from the farmers’ payment. Sometime traders don’t give payment on time. Some traders don’t give sale slips to farmers, it becomes very problematic for farmers to prove the source of their income to banks to get the loans. Traders purchases commodity with 30 % payment and rest of payment is made after 20-30 Days or more. Traders purchase commodities from farmers at the time of low prices/ over supply but these traders show this buying at the time of high prices to minimize their profit or to show the losses. By the paying the 2% Mandi taxes they by passes the income taxes. The income of local agriculture market doesn’t increase and marketing infrastructure is not developed. These transactions will be come in accounts and farmer income will be documented and farmers can get more loan from banks. Credit worthiness of farmers will increase slowly and slowly. Farmers will easily get loan for other activities like personal loans, home loan, vehicle loans, entrepreneur loans, education loan. Income of local agriculture market will increase and Govt can develop more market infrastructure. Farmers will benefit from it. Sometime farmers produce destroys due to poor infrastructure specially in the rainfall. 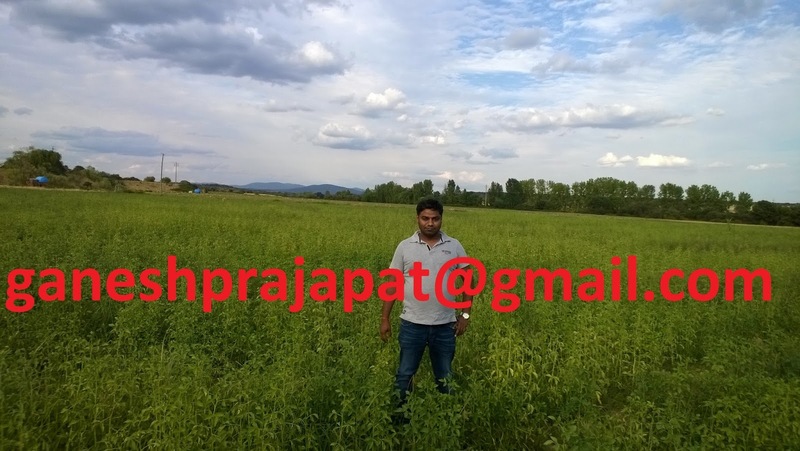 Sometime buying of agriculture commodities is shown in another state. Mandi income & economic opportunities moves to another state. This trend can be seen in Rajasthan at the boarder of Haryana and Gujarat. Honest traders face many problems due to black economy some time they can’t get enough margin due to surrounding black economy. Local traders of guar growing area keep waiting for arrival. Commodities reaches to another market by passing the local economy and traders. Black money comes from another market and it destroy the business of local traders. Local employment, trading, stocking, processing, tax earning move to another location. Black economy also lead to circular trading. In the circular trading business of local traders is affected negatively. Traders are forced to buy the commodities at higher prices. These circular traders withdraw draw their investments, swap the profit, and dump the commodities in market. Sometime this back money doesn’t let the prices goes up even in low productions even the fix costs of commodities trading keep increasing. After demonetization transactions will come in account books and no one can enter with white money in this way. Investment of traders will be secure and their margin and profit will be secure. They can generate more income with local value addition related to grading, ware housing. processing and transportation. Existing guar processors faces a lot of problem with black money. Sometime new processors enter in market with black money and started to work with loss or zero margin and it affects the trade of existing processors. 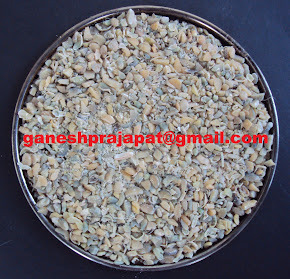 They started to offer finished products with lower prices than purchase prices of guar seeds. Income generation cycles of existing honest processors break down and it require extra cost to start there processing or keep it running. After a certain time, these greedy processors started adulteration and decrease quality of product and it draw negative picture of the local processors in international market. Sometime complete consignment faces problem due to one or two containers. Sometime raw material is swap from the market with black money and supply of raw material becomes very tight it effects the margin of processors. These greedy processors also disturb trained human resources by offering them higher packages and more facilities for short term. Existing processors faces a lot of problem with vacuum of trained employees. After demonetization, existing processors will get raw material locally and they can plan for long term sustainable profits/margins. At this times guar processing activities is focused in three four locations in India it will diversify with availability of the raw material. Processors can invest in R& D in guar products. There will be no fear of the sudden loss in business. Commodity exchange were established to provide fair business activities platform to farmers, traders, and exporters but black economy promotes the Dubba Trading / Illegal commodity exchange. Dubba trading influence the physical market. Sometimes operators of these illegal exchanges create artificial situations of the oversupply and shortage to draw their profit. Prices become unstable in real exchanges investors makes a lot of losses. Sometimes new exporters enter in market with back money and start to export of guar gum at lower prices than market prices. It cut down the margins of existing honest exporters. Sometimes these types of exporters open another company in importing nation and keep exporting material at lower prices. They earn margin in importing country it forces to existing local exporters to export the commodity at no margin or loss. Buyer base of existing customers also shift to new exporters. Generally, exporters get long term orders but with these practices buyers starter to give small orders as material is available in importing country with cash and carry system. 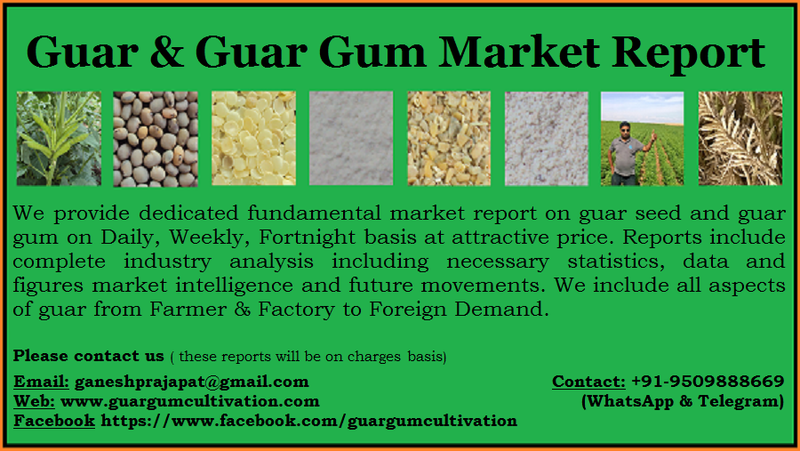 In conclusion guar gum industry, a lot of speculations and prices keep fluctuating regularly. With small influence of black money complete industry is facing the problem. Demonetization will eradicate the black money and activities related to illegal trading, hoarding, adulteration will come down and complete industry will come in profit. All the stack holders of guar industry will benefit from the demonetization. It will lead to long term sustainable profitable margins.